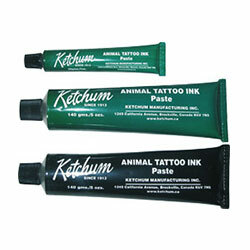 Animal Tattoo Equipment, Supplies and Kits | Ketchum Mfg. Co.
Ketchum's tattoo equipment gives you the means to permanently and positively identify your livestock. Tattoos are a great back-up solution in the event that a livestock tag is lost. It can be difficult to identify your animals that are the same breed, so tattoos can prevent any confusion between the livestock. It's recommended you use redundant identification methods for this very reason - and a good way to go about that is to use both tattooing and livestock tagging. 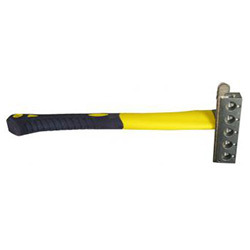 Effective methods include a numeral system to organize your livestock. 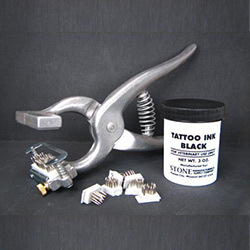 Our animal tattoo equipment is designed to make the process as easy and as fast as possible. We offer both animal tattoo ink and the tools to apply the tattoos to your animals. Our animal tattoo kits are advanced and effective in preventing tearing and scratching from livestock moving during the process. 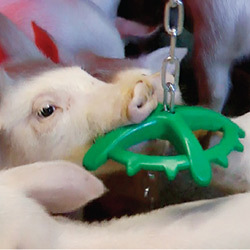 Equipment designed to create a permanent identification tattoo on animals. Tattoo Inks and pastes for animal identification.